Nature's Path Foods is the largest manufacturer of organic breakfast cereal in North America. 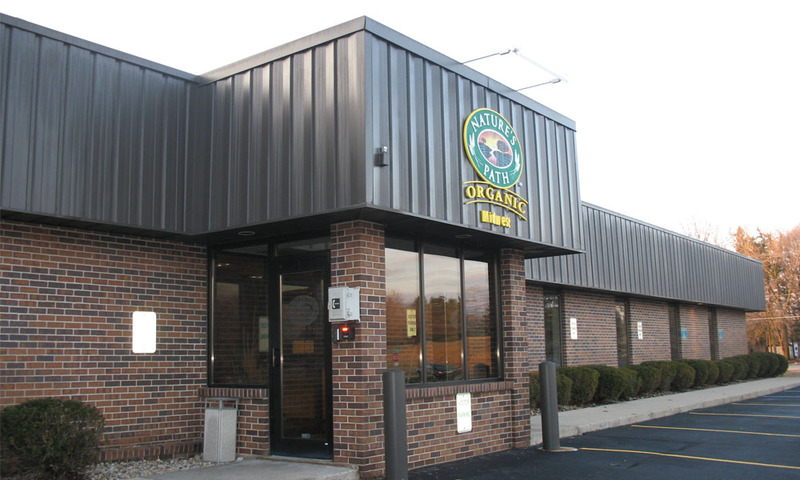 Our Sussex, Wisconsin, facility is where many of our products are made. The Sussex facility produces millions of pounds of organic cereal, granola, toaster pastries and stone ground tortilla chips every year. As a company, we are committed to being zero waste in everything we do. For our production facility in Sussex, that means we need to instill that understanding in the over 200 team members who work there every day. The plant was able to achieve 90 percent diversion rate mainly by removing waste streams from our production facility, focusing on sourcing reusable or recyclable materials from suppliers, and reducing our food waste. In 2017, we were able to reduce our food waste to under four percent, a reduction by almost 50 percent from 2014. Food waste includes spills, errors and processing by-product. Whenever food product is "wasted," we make sure it doesn't go to waste. We work with local animal feed produces, who convert our spilled grains, sugar and syrups into feed products. Between 2015 and 2016, our team members focused on identifying waste to remove from our landfill through either diversion or removing it completely from the waste stream. Improved signage, training and education were the biggest difference makers. This pushed our 87 percent diversion rate over 90 percent, which in real pounds meant a reduction of over 45 tons of landfill.